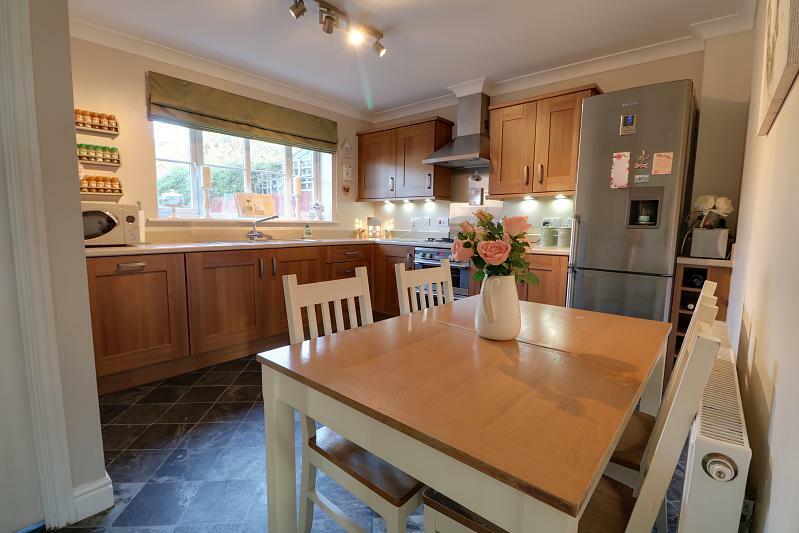 A stunning four bedroom detached house pleasantly situated in this modern cul-de-sac location, overlooking unrivalled heritage land with far reaching view. 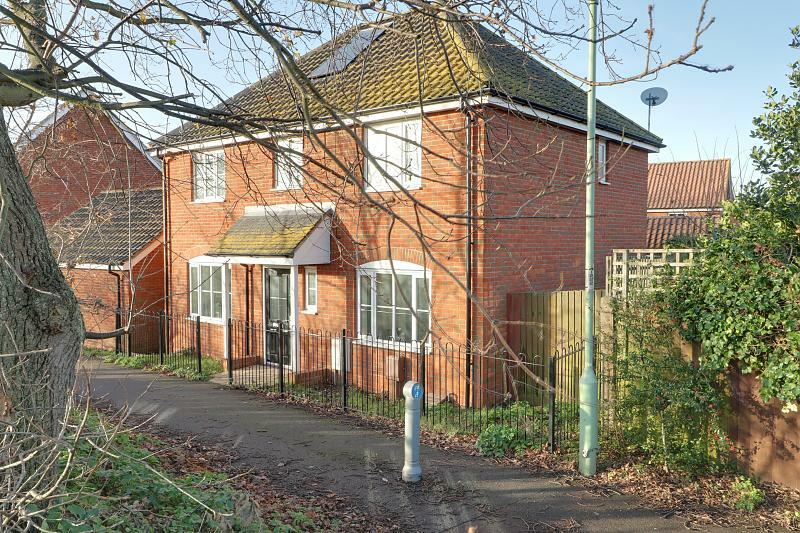 Within walking distance there are local amenities including schools, shops and bus routes providing direct access to Lowestoft Town & Norwich City Centre. 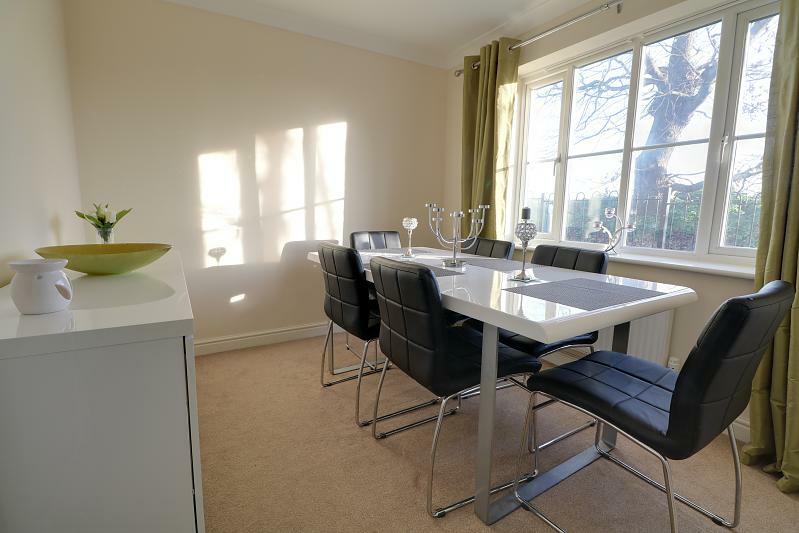 The versatile living accommodation includes a lounge, dining room, integral kitchen/breakfast room, utility room, ground floor cloakroom and to the first floor there are four bedrooms with the two largest overlooking the heritage land, an en-suite off the main bedroom and bathroom. Outside there is a fully enclosed garden and gate leading to a brick weaved driveway and brick and pitched garage. 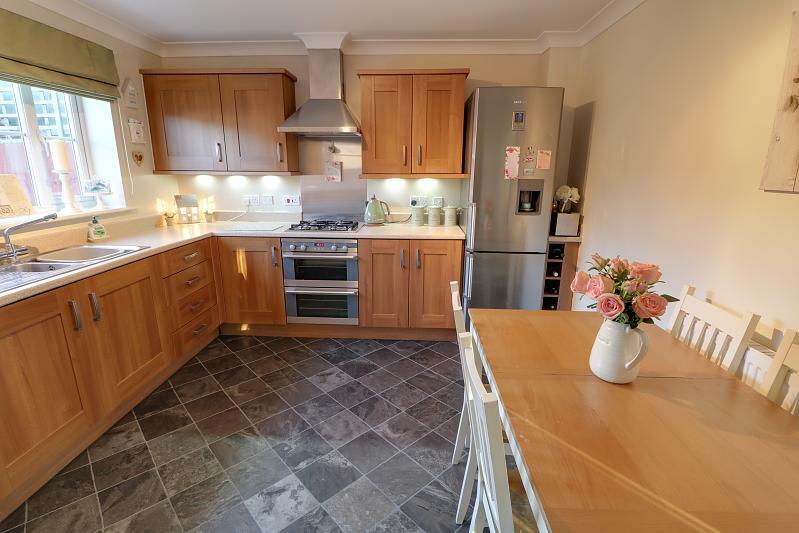 The current owner has maintained the property to a very high standard throughout and there are benefits of modern fitted floor coverings, tasteful decorations, quality fixtures & fittings and modern features to the kitchen, cloakroom, en-suite and bathroom. 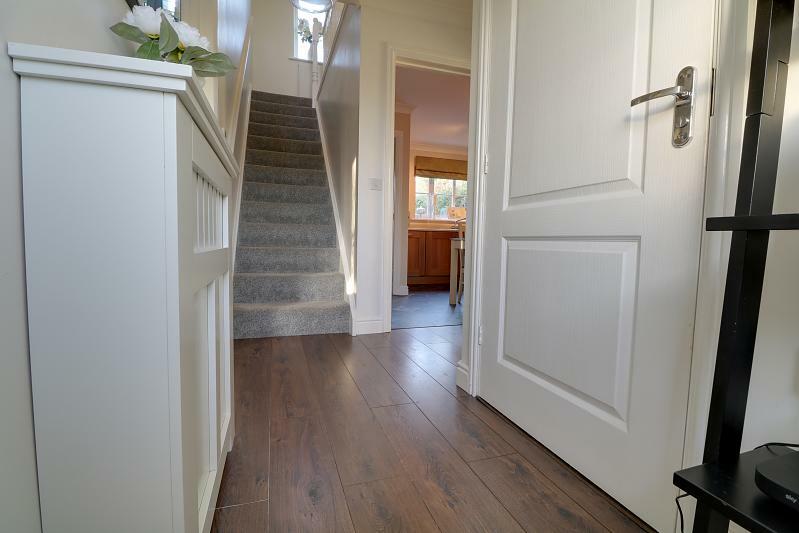 On the first-floor landing there is a ‘Drimaster’ which is an excellent feature and works via a sensor by automatically flowing clean and dry air into the home if the moisture levels reach a certain level. Another excellent feature is the solar panel which is owned outright and helps towards the heating of the hot water. 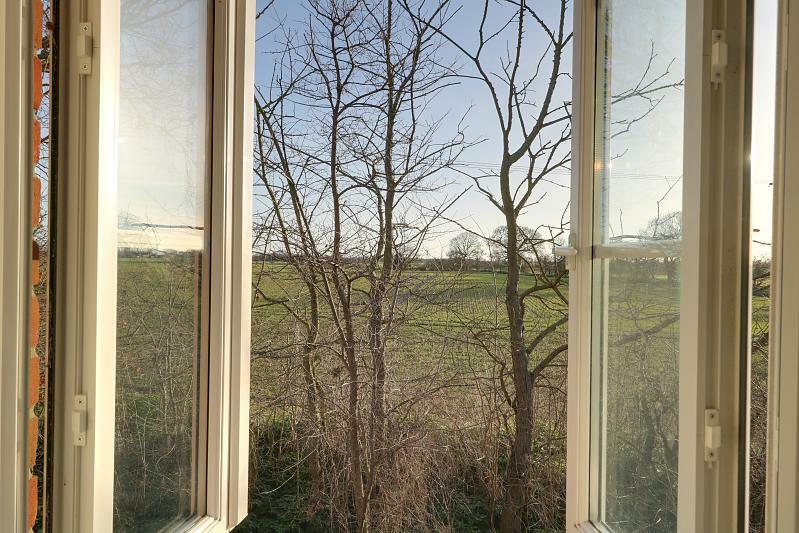 This makes the most perfect family home and offering unique views and superb condition, an early inspection is highly recommended to avoid any disappointment. No Onward Chain. 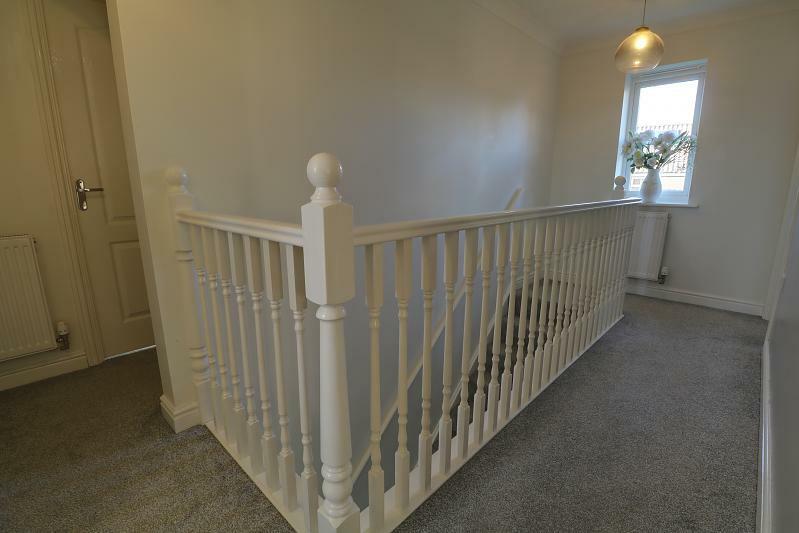 With wood effect laminate flooring, power points, telephone point, radiator, under stairs storage cupboard, carpeted stairs to first floor, doors leading off. 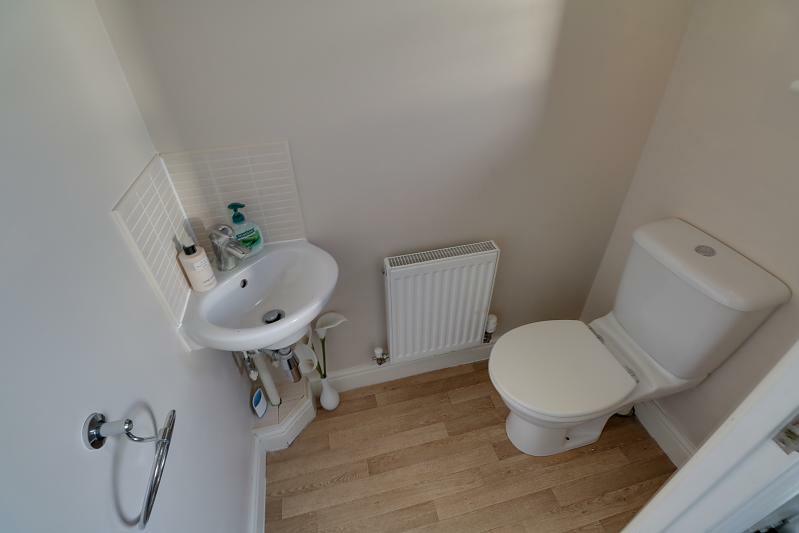 A white suite comprising of low level WC, pedestal wash basin with handc mixer tap, tiled splashback, radiator, uPVC double glazed window, wood effect vinyl flooring, radiator. 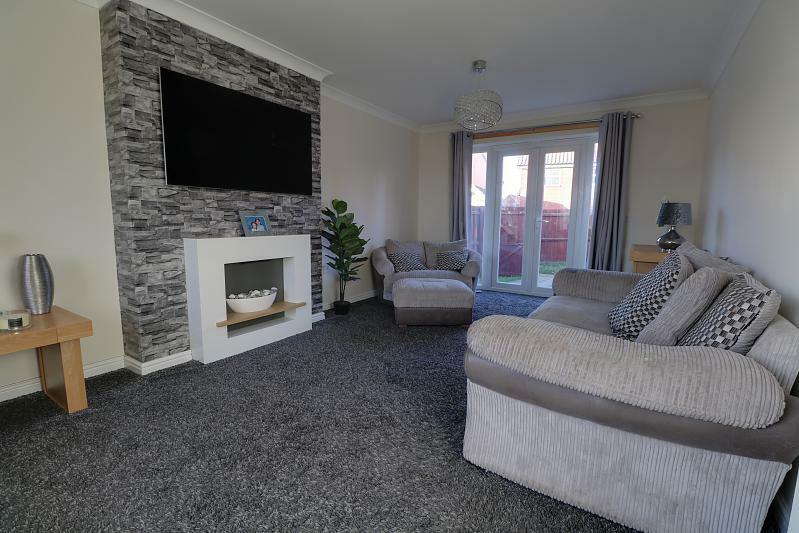 With carpet, power points, tv point, radiator, UPVC double glazed window, matching UPVC double glazed patio doors to rear garden, attractive modern fireplace with inset stone effect electric fire. 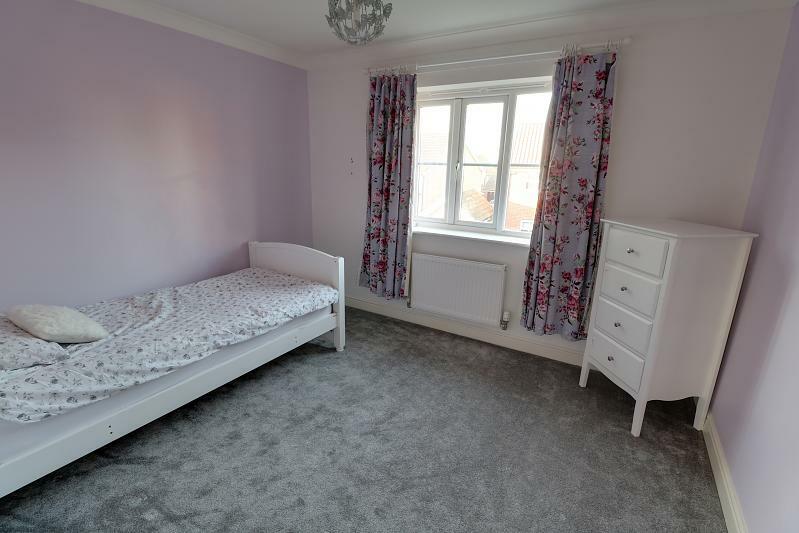 With fitted carpet, power points, radiator, uPVC double glazed window overlooking heritage land. 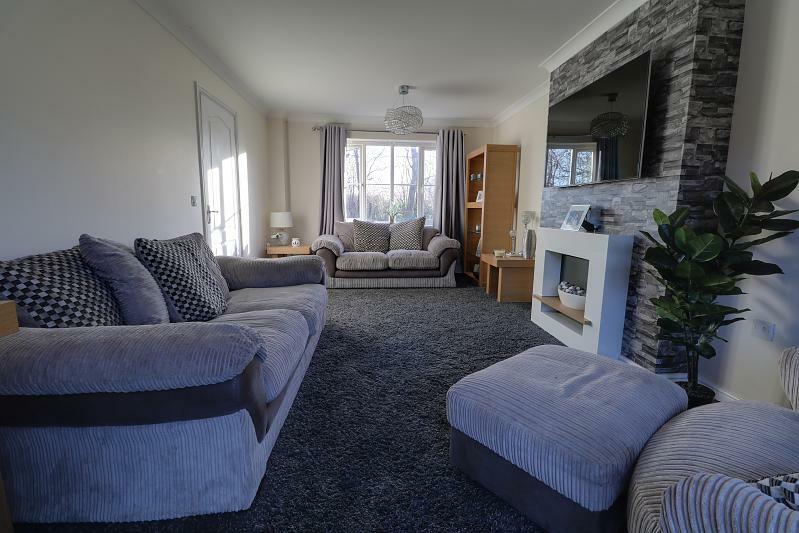 With a range of matching wall mounted and base units, roll top work surface, recess and plumbing for automatic washing machine, power points, tile affect vinyl flooring, radiator, uPVC double glazed door to rear garden. With carpet, power points, radiator, access to insulated roof void, ceiling mounted &apos;Drimaster&apos;, doors leading off. 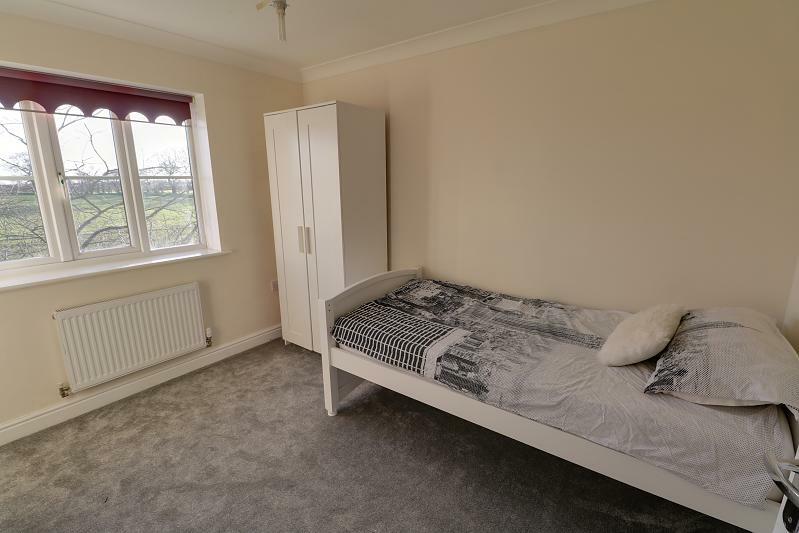 A white suite comprising of a low level WC, pedestal wash basin with handc mixer tap, corner shower cubical with glass screen door and electric shower fitting over, tiled splashbacks, wood effect vinyl flooring, radiator, power point, uPVC double glazed window. 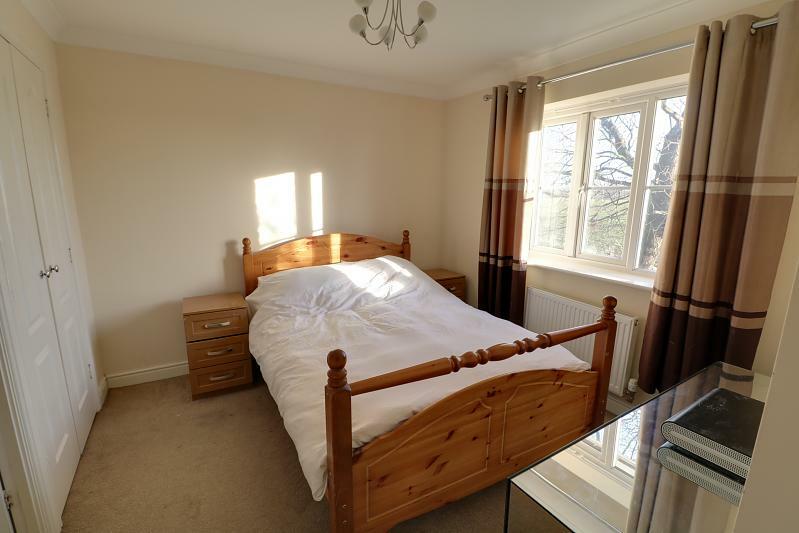 With carpet, power points, radiator, uPVC double glazed window with far reaching countryside views over heritage land. 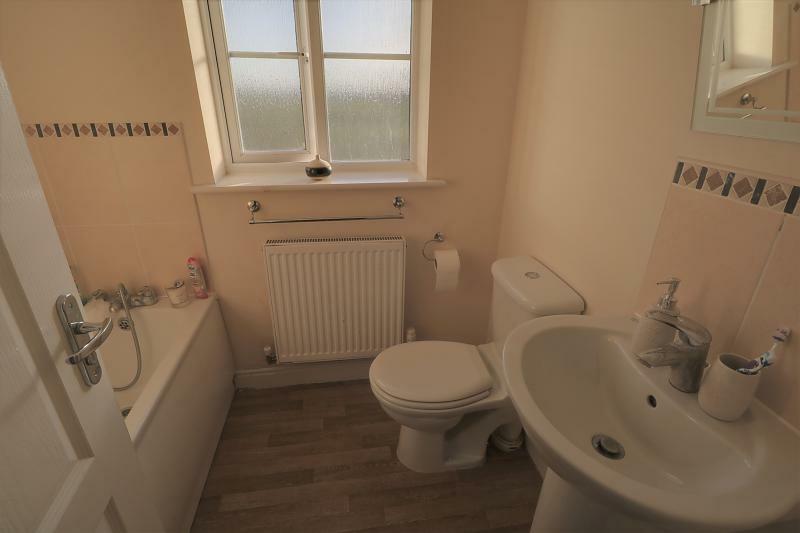 A white suite comprising of a low level WC, pedestal wash basin with handc mixer tap, panelled bath with handc mixer tap and shower fitting, tiled splash backs, radiator, towel rail, wood effect vinyl flooring, uPVC double glazed window. To the front there is a wrought iron fencing with concrete pathway to covered entrance. 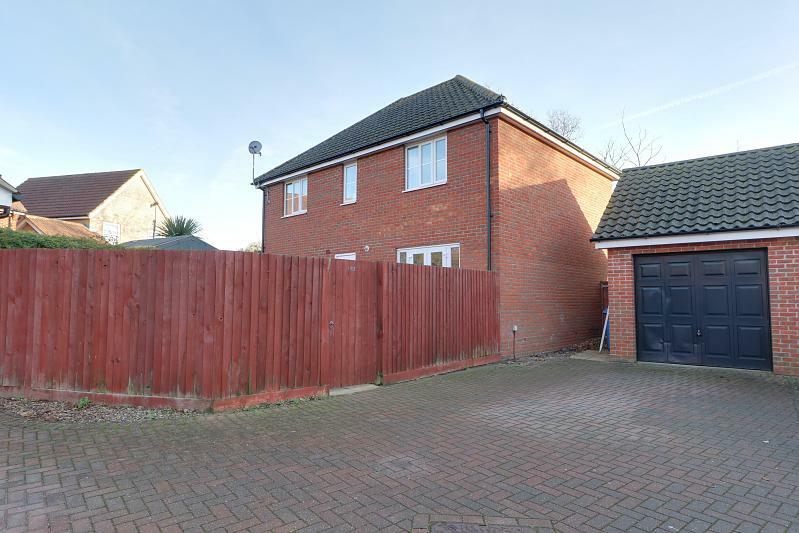 To the rear there is a fully enclosed garden with concrete patio and laid to lawn, fence panel screen and gate leading to a brick weaved driveway providing ample off-road parking with the driveway leading to a brick and pitched garage with up and over door; power and lighting.